7416 N La Cholla Blvd. Monday – Thursday: 9a.m. to 5p.m. Contact us today for a complimentary cosmetic consult, where we can help guide you through your surgical, non-invasive, laser, or skin care options. Insurance based appointments available depending on the procedure being done. Co-Pays are due at time of consult for insurance appointments. Dr. Nelson utilizes the latest technology to efficiently update, maintain, and protect your medical records. Each patient’s privacy is of the utmost importance to us. Your medical records may be released or transferred only after we receive written authorization from you. Your information is not shared with any other organization(s) without your explicit written request. This site maintains security measures intended to protect the loss, misuse and alteration of the information under our control. 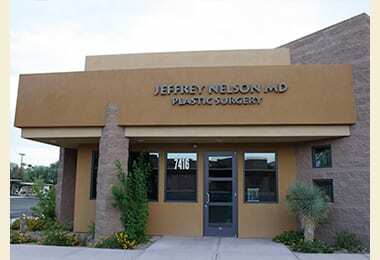 To learn more about plastic surgery procedures, schedule a consultation with our Arizona plastic surgeon, Dr. Jeffrey Nelson, M.D., using this contact form.